Exploring the different answers to the question “How to invest in the Low Carbon Economy”, the PRI has analysed a variety of investment options, in a guide1 destined to institutional investors. The paper considers four solutions: listed equity funds, unlisted strategies and asset, green and climate-aligned bonds, and last but not least, low-carbon indices. While none of these producte categories is designed to fully tackle climate-related investment challenges on their own, they each provide at least partial responses for different types of investors. In this summary, we explore in details the characteristics of low-carbon index-based startegies. For off-the-shelf fund solutions, investing against lowcarbon indices is a potentially lower-cost option than actively managed strategies. It might also present the opportunity for some investors to develop a tailored, bespoke benchmark to shift the equity portfolio towards a lower carbon, more climate-resilient future in a way that best aligns with an organisation’s climate-related investment policies and objectives. the impact that the growing attention on the need for suitable taxonomies and definitions to validate labels might have on product offerings(3). 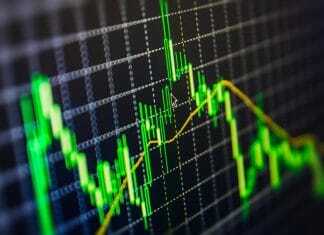 A number of climate-related indices have emerged in response to rising demand from investors(4). 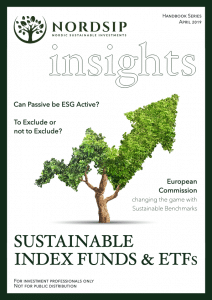 As with all passive funds, the investment exposure to climate-related passive funds is determined by the methodology underpinning the index construction and the resulting index weightings that this produces. In terms of low-carbon or climate-related indices, three broad approaches have emerged. Broad market optimised: Likely to be suitable for an investor that does not have an exclusion policy, but is seeking a reduction in the exposure to carbon emissions/reserves and fossil-fuel-related carbon emissions. Best in class: Likely to be suitable for an investor that wants to consider carbon efficiency across sectors and is able to accommodate negative exclusions (typically excluding the worst carbon emissions/reserves performers from each sector and re-weighting across the sector). Fossil-free: Likely to be suitable for an investor that is able to accommodate negative exclusions (typically excluding fossil fuel companies). While there are some off-the-shelf indices and funds that are readily available for investors to allocate to, there are also emerging examples of investors developing a bespoke benchmark solution to fit with their risk/return objectives and strategic goals in mitigating the climate-related risks and capturing the new opportunities. Some of the typical investment characteristics of low-carbon index solutions that have been launched to date are summarised below. New York State Common Retirement Fund doubles its passive equity investments against a low emissions index to US$4 billion. The benchmark represents an internally managed, bespoke solution that excludes or reduces holdings in higher CO2 emitting companies, while increasing investments to the lower CO2 emitting companies. The footprint is 75% lower than the Russell 1000 index. The index is also used as a lever for engagement to encourage companies. New Zealand Superannuation Fund shifts its global passive equity portfolio (NZ$14 billion) to be managed against a low-carbon benchmark. NZ Super approved a target to reduce the carbon-emission intensity of the fund by at least 20% and reduce the carbon reserves exposure of the Fund by at least 40% by 2020. US Public Pension Fund CalSTRS commits US$2.5 Billion to low-carbon index in U.S., non-U.S. developed and emerging equity markets. The passively managed equity portfolio is invested in an index designed to have significantly lower exposure to carbon emissions than the broad market and nearly complete reduction in exposure to fossil fuel reserves. The Fourth Swedish national fund AP4 benchmarks 24% of its global equity investments (US$3.8 billion) against low-carbon indices. Since 2014, AP4 announced its intention to decarbonise its equity portfolio by 2020. It started by allocating €1 billion to track the MSCI Low-carbon Leaders index as the benchmark for its low-carbon equity strategies. AP4 has since extended this benchmark to its regional equity portfolios against MSCI Low-carbon Leaders Indexes in Europe, Emerging Markets, North America and Pacific. French Reserve Fund (FRR) adopts new equity benchmarks to halve its CO2 emissions from standard indices.The fund mandated its passive managers to implement a process to reduce the portfolio’s carbon footprint and fossil fuel reserve exposure by 50%. FRR also adopted a policy to exclude companies whose thermal coal mining or electricity generation business exceeds 20% of their revenue. French Reserve Fund (FRR) adopts new equity benchmarks to halve its CO2 emissions from standard indices.The fund mandated its passive managers to implement a process to reduce the portfolio’s carbon footprint and fossil fuel reserve exposure by 50%. FRR also adopted a policy to exclude companies whose thermal coal mining or electricity generation business exceeds 20% of their revenue. The UK Environment Agency Pension Fund (EAPF) transitions its portfolio of passively managed global equities to a fund run against the MSCI low-carbon target index. The index aims to reduce exposure to GHG emission by 75%-80% and cut exposure to fossil fuel reserves by 85%-90%. The benchmark is also used to support engagement efforts with companies. French public sector pension fund ERAFP invests €750 million of its passively managed equity investments into a bespoke, low-carbon benchmark solution. This has reportedly reduced the carbon footprint of its listed equity portfolio by around 40% with low tracking error. The Second Swedish national fund AP2 benchmarks almost one third of its assets (SEK 350 billion) against a bespoke ESG-focused index. The in-house benchmarks represent a quantitative, multi-factor equity index solution. The assessment and benchmark construction are broader than climate change and include factors such as climate alignment, water and waste management, diversity, human rights and involvement in other controversies and accounting practices.